If we had a sane, non-parasitic, monetary policy, all those metals(as minted) would be referred to as “money”. People would know what their value is in relation to each other, and in relation to cash. At least a small percentage of taxes could be paid in minted metal because of the demand from government employees for said money(eliminating the broker fee). Happy New Year FauxCapitalist! Thanks for your regular contributions, Eric. There are so many different notions of money floating around these days. 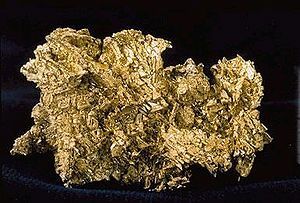 Some say it’s only gold and silver, others extend it to include platinum and palladium (which also have international currency codes), non-precious metals, paper and numbers in a computer depending on whether it’s a promise to pay or not, and all sorts of other definitions, including the mainstream economics one I referenced in a previous post.